Mr. Lance, Mrs. 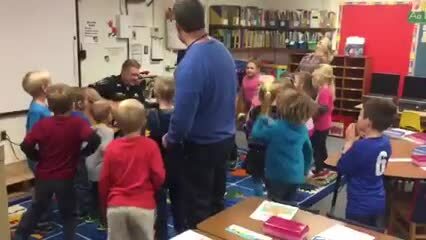 Call, and the kindergartners had a rocking good time dancing to Officer Hebb's music! 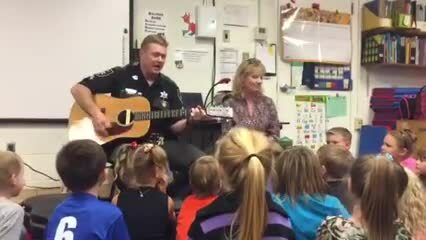 We had the privilege of having a mini concert performed by our principal, Mrs. Call and PRO Officer Rocky Hebb. 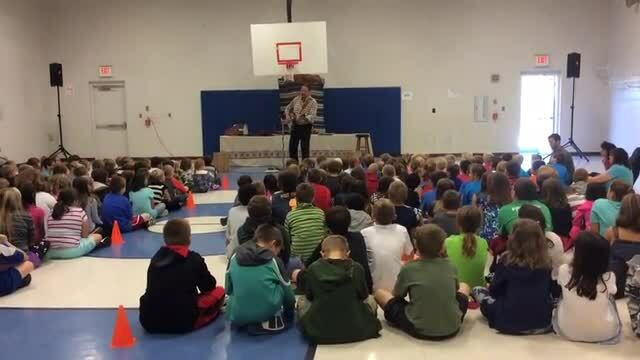 The students had a blast listening and singing along with them!